Alright folks, Summer is but a blink away over here on the West coast which calls for some serious wardrobe guidance from your uttermost. I rest assured I am not the only one, who finds the guiltiest of pleasures in dressing my little ones! How can pieces so small cause so much joy + excitement?! Browsing such things leaves me in total web-nirvana confinement! I can't stop myself, I just keep clicking! Continuously scavenging, prowling + pricking! The above is a colorful smattering of picks for MY little miss, one stylish mini gal who radiates year-round "summer bliss"! Be sure to stay tuned for tomorrows more masculine smattering, for all the little fellas who needn't another wardrobe unflattering. P.S. 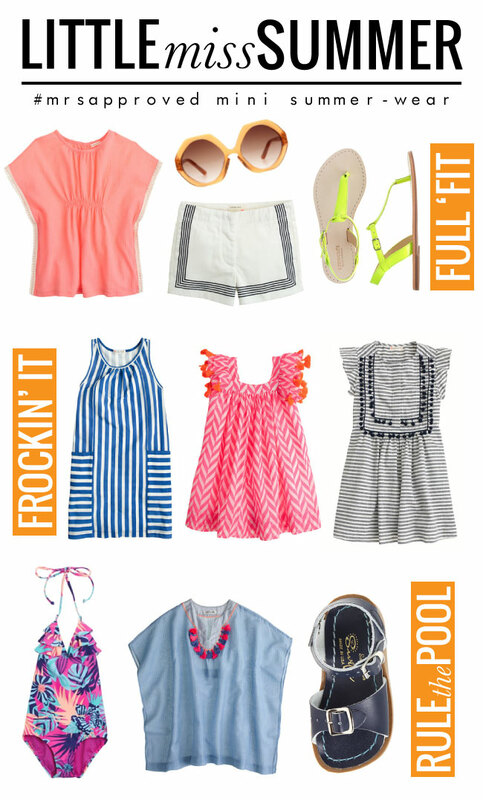 I share all my kiddo wardrobe indulgences right here! You don't wanna miss these daily finds! Follow Mrs. Lilien's board KinderLust on Pinterest.